In modern architecture, the concept of harmony pertains to achieving the right spatial proximity and positive aesthetic value of design elements. It is popularly described as sameness or the belonging of one thing to a group – something that is usually achieved through the repetition of texture, shape, color and form. For instance, if your home features a dark gray roof, you can use a similar shade or the exact same color on your window’s exterior trim. Complete the look with a bold shade for your home exterior siding to create a pleasing contrast. This concept, on the other hand, is when the elements are combined to make a complete whole. An important part of creating unity is making sure all the components and their features work well together. Texture can impact the visual appeal of your roof and siding as it changes how the light hits these surfaces. They can appear dark or bright, even when used with the same color. Too much texture, however, can be tiring to look at. If your siding already features a textured surface, consider a simpler exterior for your roof. You can also play with different colors and materials that complement each other in the big picture. This way, you won’t end up with a bland look. 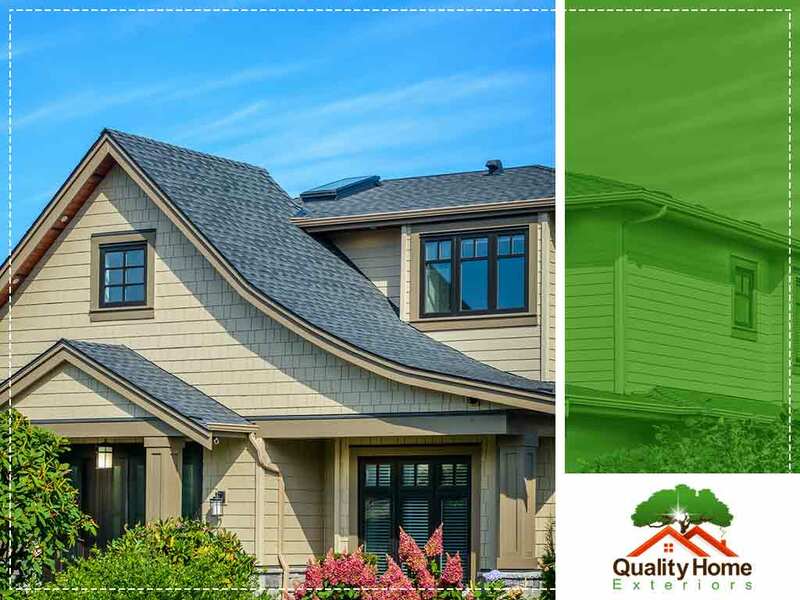 Quality Home Exteriors offers quality roofs, windows, and insulated siding system options for homes. We can help you create a harmonious home exterior. Call us today at (402) 401-4505 or fill out our contact form to get started. We serve clients in Omaha, NE; Kansas City, MO; and surrounding areas.